Reward yourself with a top-notch Sicilian experience and traverse Sicilian gems with private local guides. Spend time enjoying the island's rich heritage and history from petite towns like Caltagirone to impeccable creations of nature such as those of the Cefalu coast. Taste Italian wine and treat yourself to local delicacies in a traditional pasticceria, step back in time as you explore Erice, Segesta, Taormina and Agrigento, tour unique tows of Ragusa, Modica and Syracuse, and even rise up to Mount Etna volcano. Following breakfast you meet with your private guide-driver and embark on a day tour to the Segesta, with its best-preserved Doric Temple, and the unforgettable medieval hilltop town of Erice. Breakfast and Sicilian pastries tasting included. After breakfast you check out from the hotel and meet with your private guide-driver. First you drive along the coast to the charming seacoast town of Cefalu. Located only about an hour’s drive east from Palermo, you get to see the iconic postcard views of Sicily. Cefalu is a very colorful fishing village, complete with brightly-hued boats and twisting narrow streets, and there is also a splendid Norman Cathedral built by King Roger II in the 12th century in fulfillment of a promise he made to God for sparing his life during a storm at sea. Following breakfast at the hotel you check out and meet your private driver to travel to the southern regions of the island. Continue to the town Caltagirone where the culture of ceramics is a cult: streets and building decorations are full of ceramics. Here you can go up the staircase, Scalinata di Santa Maria del Monte, which is also decorated with tiles, its 142 steps connecting two parts of the town. You have a stop in this town to stroll around the workshops of the old city and visit one of the local producers to see the process of ceramics creation**. 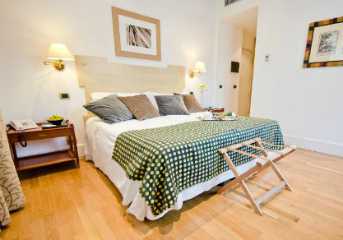 After the tour your are taken to the hotel in Ragusa to relax and have time at leisure. **Note: The workshop visit is available on weekdays only. After breakfast and check-out meet your driver and start your day with a local guide exploring Ragusa and Modica towns. Ragusa was almost destroyed in an earthquake in 1693 and was subsequently rebuilt and divided into two parts Ragusa Ibla (lower town) and Superiore (upper town). From the upper town, located on a hill, you can observe the whole UNESCO-listed Baroque town. Together with your guide, you visit the Cathedral San Giovanni Battista designed by local architects in the 18th century and the Santa Maria delle Scale church which has also been damaged in the earthquake, though the entrance and the four Gothic chapels resemble the original building. After you head to Modica - a town of 100 churches. Besides marvelous architecture, this town is famous for its Cioccolato di Modica production. The chocolate making tradition counts more than 400 years. Today you have a chance to experience the process of making this famous chocolate yourself on our optional tour. Visit a local chocolate factory for a tasting and have a hands-on experience of the process of making this famous chocolate . *Note: The workshop is available on weekdays only. You leave Modica to continue your trip, have a short photo stop in town Noto and arrive in Syracuse where you check in to the hotel. Following breakfast you check out from the hotel and your private guide takes you on a city tour of Syracuse. Today you visit one of the most important archeological sites in the World, the Neapolis Park of Syracuse. Here you explore the still-working Greek Theater, the Ear of Dionysius and the Roman Amphitheater. Your tour continues to the delightful Ortygia Island where you have an inside visit to the Duomo where a Greek Doric temple remains to be a part of it, and for this reason, it is included in the UNESCO list. After the tour you return to the hotel to meet your private driver for a transfer to the resort town Taormina. Upon arrival you check in to the hotel and have the rest of the evening at leisure. After breakfast at the hotel meet your private local driver and set off on a half-day trip to one of the most famous Sicily attractions - Mount Etna, the highest volcano in Europe. After the winery visit you have a transfer back to Taormina hotel. Day trip to one of the most famous Sicily attractions - Mount Etna, the highest volcano in Europe. Note: the Journey by Car packages don't include airport transfers, transfers for tours and between cities. This package implies an itinerary with a departure from Palermo.